Congratulations to Dr. Papper on her new grandson, Xavier Neil Papper! Congratulations to our outgoing director, Dr. Carole Clark Papper, on the birth of her new grandson (and "tiny human") Xavier Neil Papper, who was born on July 30th. We hope to get a picture soon, and we'll post it here. 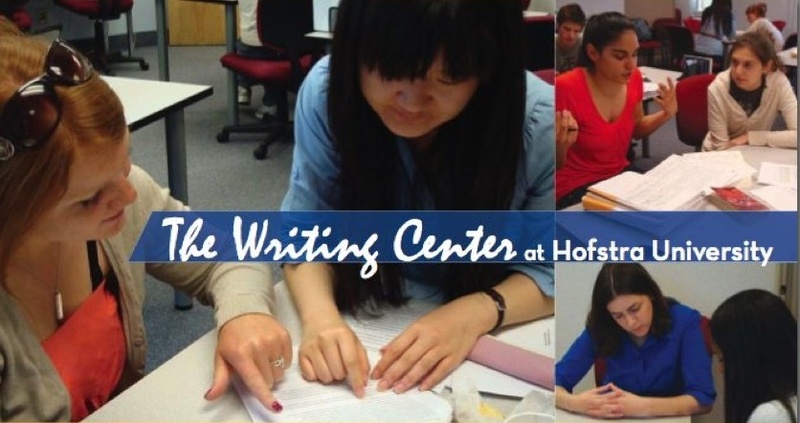 Our Writing Center Made the New York Post! Our own co-director, Dr. Daisy Miller is in the New York Post today, encouraging students everywhere to use their Writing Centers! Looking for a way to improve your writing for the rest of your life? Get in the habit of reading for pleasure every single day. The more you read, the better your writing will become! Ask friends, family members, or teachers what books they have enjoyed the most. Go to your local library, get a library card (you usually have to bring a utility bill to show you're living in the area), and browse the shelves until you find a book that interests you. Browse the books-on-CD section of your local library and choose something fun to listen to during your commute. If you have children in your life, go with them to the library, help them pick out books that interest them, and read to them aloud. Browse the magazine section at a newsstand, convenience store, or library until you find something that captures your interest. Subscribe to a daily newspaper or read an online version. Find long-form journalism sites on the internet and see if you enjoy their in-depth analysis of the news. Pick up the "What Can I Read?" handout outside the Writing Center's main location in 102 Mason Hall. Remember, if you don't enjoy what you're reading, it's fine to stop and sample something else -- if you just keep trying, you will eventually find materials that you love to read! Congratulations to our undergraduate peer tutors Melissa P. and Melissa R., whose research presentation, “What’s in a Name?”--crafted with the assistance of Dr. Daisy Miller and Dr. Carole Clark Papper--has been accepted to the 2013 National Conference on Peer Tutoring in Writing in Tampa, FL!